Patrick Dixon is one of the world's best-known keynote speakers, and has spoken to several hundred thousand people in over 60 nations. 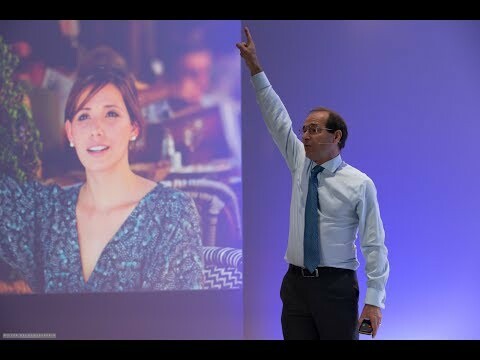 His customised multimedia presentations are experienced by up to 4,500 people a time, in up to four countries a week. Challenging, visionary, hard-hitting, strategic, provocative, dynamic, passionate and practical as well as entertaining - his keynotes motivate people to seize growth opportunities and to change. Patrick Dixon is Chairman of Global Change Ltd, and also co-founder and director of Global Innovators Ltd, accelerating smart companies and entrepreneurs into global markets. He is the author of 16 books on global trends including The Future of Almost Everything, and has been ranked as one of the 20 most influential business thinkers alive today (Thinkers 50). Dr Dixon has spoken to audiences in over 60 nations and is one of the world's most sought after keynote speakers at corporate events. He is often described as Europe's leading Futurist with a long track record of success in industry forecasting, and has worked with over 400 of the world's largest corporations. His clients are from every industry with particular strengths in digital, marketing, consumer insight, banking, payments and health - and include Google, Microsoft, IBM, KLM / Air France, BP, ExxonMobil, World Bank, Siemens, Ford, Sara Lee, Prudential, Aviva, Barclays, UBS, Credit Suisse, PricewaterhouseCoopers, Hewlett Packard, Gillette, GSK, Roche, Wyeth Pharmaceuticals, Novartis, BASF, Credit Suisse, Forbes, Fortune, Royal Bank of Scotland, Zurich Financial Services, Tetrapak, Unisys, BT, BBC, Fedex, DHL and World Bank and many governments. Dr. Dixon, founded the international AIDS agency ACET, with prevention and care programmes today in many low-income and hard-hit nations, including Uganda, Zimbabwe, Nigeria and DR Congo. His website has been used by 15.5 million different people with 6 million video views and over 52,000 Followers on Twitter.